Growing hemp for food and fiber is a 12,000-year-old endeavor. From George Washington to Thomas Jefferson grew hemp. A little known fact is that Jefferson drafted our Declaration of Independence on Hemp paper. A recent study has found that the hemp seed pill (HSP) relieves a form of constipation known in traditional Chinese medicine as “excessive syndrome”. This is when the bowels dry out and cause problems such as dry mouth, abdominal swelling and pain along with trouble sleeping. The phrase marijuana drug test has caught new fever of late. More and more people are flocking to one or another kind of marijuana drug test. But the question here is—is it really necessary to go for a marijuana drug test. Well, there can’t be a single word answer to this question. The necessity of such a drug test depends upon various factors like your usage level, your usage duration, your place of residence etc. In this short write-up it will not be possible to cover all the relevant topics of marijuana drug testing. But let us have a brief discussion about some issues regarding marijuana drug test. Despite of having so many debates on the issue of legality of medical cannabis, this drug is making importance in the medical field. The latest research of cannabis proves the use of this plant in the field of medical science. The latest research by national library of medicine proves that maximum states are allowing the use of this drug in medical fields. There are many specific diseases which are only treated with cannabis drug. Therefore, many states have made it legal to use the cannabis drug in the medical field. This research shows the importance of cannabis as a drug. In the clinical research, the therapeutic value of cannabis has been published in many news papers. These all researches concentrate to find out the use of the marijuana in the world of medical science. These researches explore the feature and property of fighting with disease of this drug. 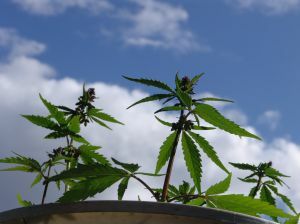 Attorney General Richard Corday for Ohio announced that law enforcement has seized more than 70,000 marijuana plants statewide in 2010. This has been the largest total since 1997. The recent influx in the number of plants has been attributed to the large number of Mexican grow operations. Half the plants seized throughout the year have been from these types of commercial marijuana growing operations. A psychiatrist, Julie Holland, has come out with a new collection of essays titled The Pot Book, which is about the history and science of marijuana. Basically it’s about the plant itself. She believes in the legalization of marijuana and talks about these issues in her book. Julie has attended the NYU School of Medicine and has been an author before, but is bringing marijuana to light with this new book. She didn’t want to put marijuana on the cover because she believes it is a political slur. She said, “When they made alcohol legal, there were a lot of feds who were out of work and they decided to make cannabis illegal, right around that same time, 1937.” She then talked about how cannabis was a medicine and that the doctors knew it was back then and use to prescribe it to their patients.